Steve Picked up this machine earlier this year and completely went through it. The previous owner maintained this machine every year at the dealer, but with over 18,000 kilometres it was time for a full inspection. 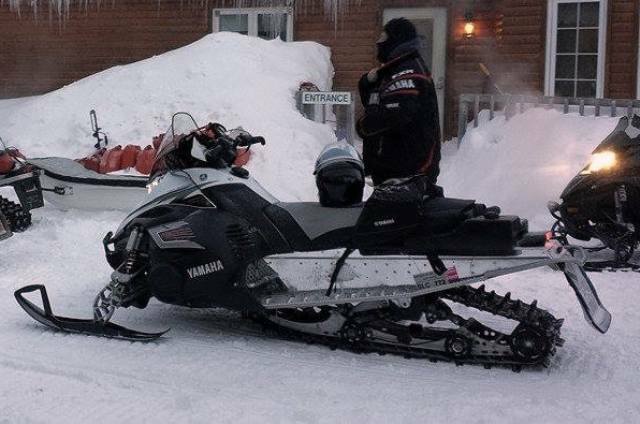 Steve replaced the front end suspension bushings with new oil lite bushings, installed new Yamaha tuner skis, performed a 1.75" track upgrade and installed a Tour Buddy auxiliary fuel tank.